Today is one of those fun days when we get to release some new tunes. These are my favorite days. 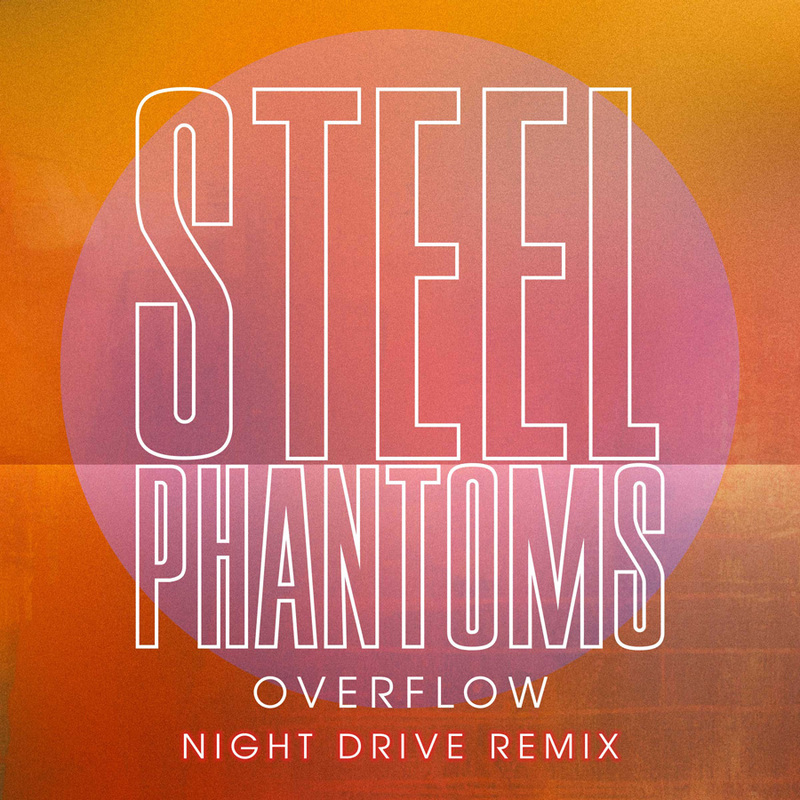 Here’s the backstory: we’ve been big fans of Steel Phantoms ever since we heard Curtain Call this past winter, so we went to go check them out live at Shea Stadium in Bushwick and were immediately struck by ‘Overflow’. I found the song burned into my mind for months. I could not get away from it. And while it is one of the more low key tracks on their forthcoming EP, I knew that was the track that I wanted to work with. Enter Night Drive, the Austin-based electronic duo that has been lighting up the airwaves with their throwback sound and amazing production skills. It was a match made in indie heaven. Between the original and the remix, the differences are astounding. The original is a straight up rock ballad and the remix is built for long drives in a Delorean. I’m incredibly proud to present to you the fruits of our labor. I hope you enjoy it as much as I did working on it.